With over $12 billion in assets under management, over 130,000 customers, and over 10,000 financial advisor partnerships, it is not hard to see why Equity Institutional/Sterling Trust is the number one-rated IRA account administrator. The company specializes in managed futures, hedge funds, real estate, and other kinds of investments. One of their greatest but less obvious strengths is their partnership with Regal Assets, the number one rated gold IRA administrator. Equity Institutional is ranked #1 on our list of the top 10 IRA custodians of 2019. In the following review, we'll cover this custodian's history, management, reputation, products/services, and fees. Equity Institutional (http://www.equityinstitutional.com/), a division of Equity Trust Company, is an industry-leading provider of IRA custodial services to financial advisors, brokers and sponsors. The company has more than $12 billion in assets under custodial management, with more than 130,000 clients, and partnerships with more than 10,000 financial professionals. In addition to self-directed precious metals IRAs, Equity Institutional also specializes in hedge funds, managed futures, real estate, and other types of investments. They became qualified to serve as a non-bank IRA in 1983, and in 2009 they acquired the assets and business of Sterling Trust Company. Equity Institutional was founded in 1974 by Richard Desich, an expert in self-directed IRAs with more than 35 years industry experience. Richard is also the Founder of Retirement Education Group. Equity Trust Company was co-founded by one of Richard's sons, Richard A. Desich. The company's Chief Executive Officer (CEO) is Richard's other son Jeffrey Desich. More information about Equity Institutional's management can be found on their Leadership page. As you can see, the annual renewal and storage fees stay the same regardless of the account value. This is in contrast to many other custodians that charge a sliding scale fee, which increases with the fair market value of the account. However, we should note that all custodians have some fees other than the storage and renewal/admin fees. These may include late fees, wire transfer fees, transaction fees, termination fees and more. Click here to see Equity Institutional's full fee schedule. 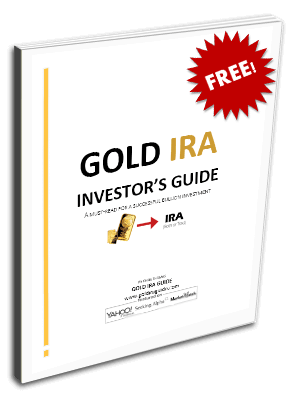 While the above fee schedule is accurate, we should note that it is possible to have the all of the first year's fees waived entirely if you set up an account with Equity Institutional through the Gold IRA firm Regal Assets. In fact, Regal Assets even offers to waive all storage and admin fees for the first 3 years if the value of the account is high enough. Once the fees are applied you'll still only pay a $150 flat-rate fee for annual storage and a yearly $75 account renewal fee. Precious Metals IRA Investing – explains the distinct advantages of investing in a precious metals IRA with Equity Institutional. Holding Precious Metals in a Retirement Account – Detailed PDF Guide regarding holding precious metals in a retirement account. Account Types – An overview of the types of accounts provided by Equity Institutional. Most financial advisors recommend allocating between 5%- 40% of your total retirement portfolio towards precious metals investments. In the event of another recession, that seemingly small portion of your portfolio could become the most crucial as inflation devalues the dollar and the price of gold continues to rise. A self-directed IRA gives you the freedom to invest some of your retirement savings in a variety of alternative instruments, including precious metals. However, not all self-directed IRAs are the same, so setting up an account and purchasing IRA-eligible bullion for it is not always as straightforward as it might seems. To avoid the hassle and expense of paying unnecessary fees and enduring a complicated setup and administration process, we suggest you thoroughly compare the top precious metals companies and IRA custodians before making a buying decision. Fortunately, we've made it easy for anyone to conduct their own research from our Top 70 Gold IRA Companies of 2019 and Top 10 IRA Custodians of 2019 lists. If you're an owner, representative, or associate of Equity Institutional and you've noticed any information within this review that is inaccurate, outdated, or misleading, please doe contact us with revision or removal requests. We will gladly honor any requests that are in line with our goal of providing the most accurate and up-to-date company reviews on an ongoing basis. Regal Assets frequently holds promotions in which they waive the first year's setup and storage fees on accounts worth more than $10,000. Depending on the value of the account, they may waive fees for up to 3 years. Regal Assets acts as a dealer of IRA-eligible gold bullion, while also assisting clients in setting up a precious metals IRA with a low flat-rate annual fee, as opposed to a sliding scale fee (which rises as the account value increases). Clients can invest as little as $5,000 initially. Extensively positive reputation highlighted by an A+ rating with the BBB, AAA rating with the BCA, 5-star ratings on Yelp, Yellow Pages, and Google+, and more than 540 positive testimonials on Trustlink.org. Provides a convenient way to open an IRA with Equity Institutional and then purchase IRA-eligible precious metals for your account, all in one straightforward process. To learn more about the benefits of opening a self-directed IRA with Equity Institutional through Regal Assets, see the full Regal Assets review, or fill out the simple form below to receive a free investor's information kit. Their partnership with Regal Assets ties them to the best gold IRA administrator in the business. They offer numerous choices of brokers, bullion dealers, investment firms, and financial advisors from which clients can select for their precious metals IRAs. The annual renewal and storage fees remain the same regardless of how high the account value becomes. Ten thousand different financial professionals partner with them. Their $150 annual precious metals storage fee is not the cheapest in the industry.